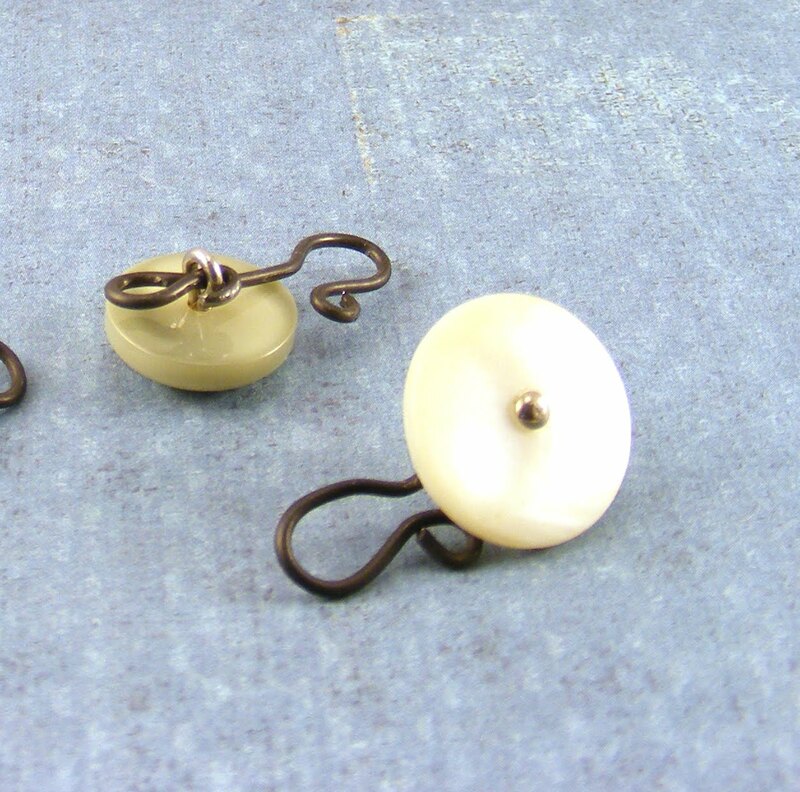 I've love shank buttons, especially old vintage ones. Unfortunately I find them difficult to use in jewelry because they tend to dangle or hang the way they want rather than the way I want. I used 20 gauge annealed steel wire. Cut off a 4 inch piece and make a loop one inch from the end. Slip the doubled wire through the shank of your button, I like a nice snug fit but I think it's ok if it wiggles a little bit. 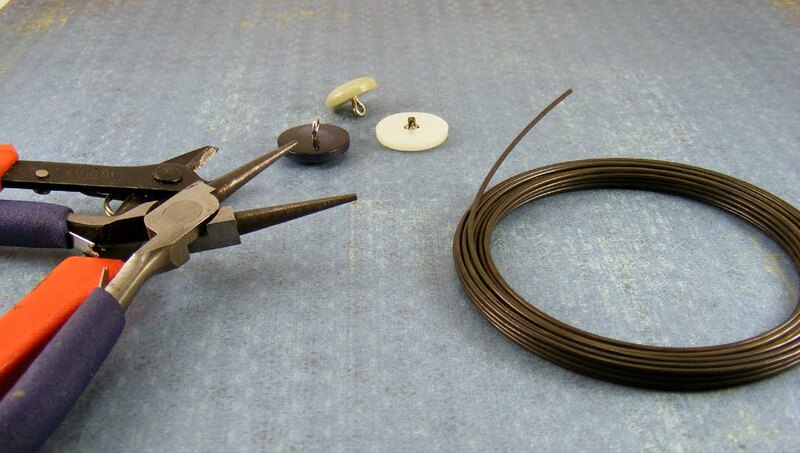 Taking the short end , curl it up and around the shank with needle nose pliers, cut off any extra wire. 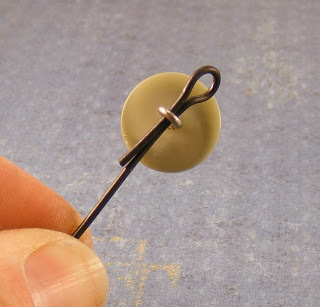 This locks it in place and prevents the button from moving up or down. 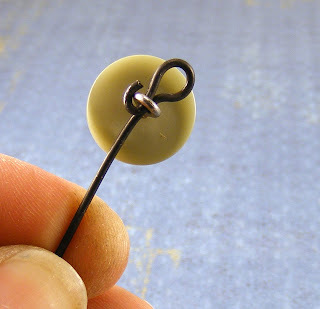 With the remaining wire make the hook clasp. 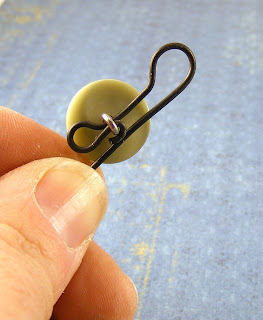 Angie, this is a wonderfull idea,and a great little tutorial. 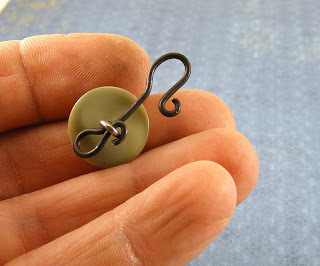 And the wire suits the old buttons.Beautifull. 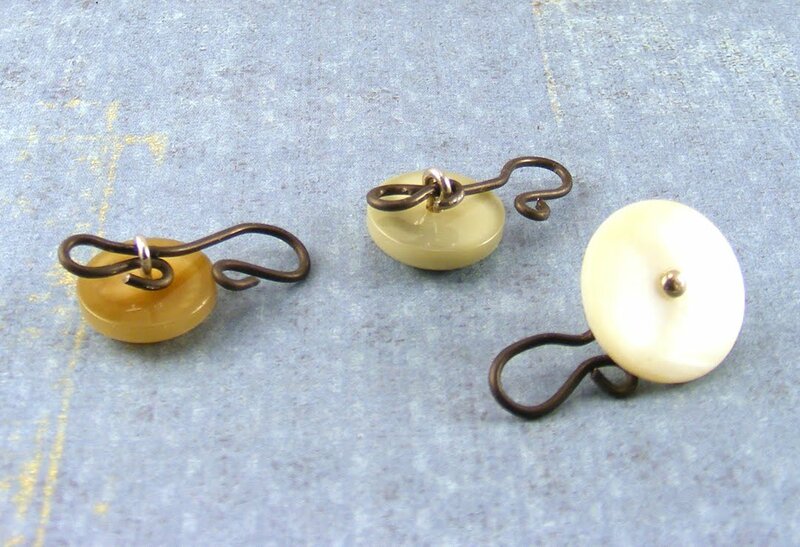 Oh you clever girl...what a fantastic idea using vintage buttons for clasps. A great way to dress up what could have been a boring clasp on some lovely vintage piece. Great tutorial and seems easy. Can't wait to see how you use them! Thanks. I really like these. Thanks for the tutorial. See you soon. Wow, that's a great idea. I love the look of it. Thanks for sharing and the tutorial. That was super clever and so cute! Fun tutorial, thank you for sharing. 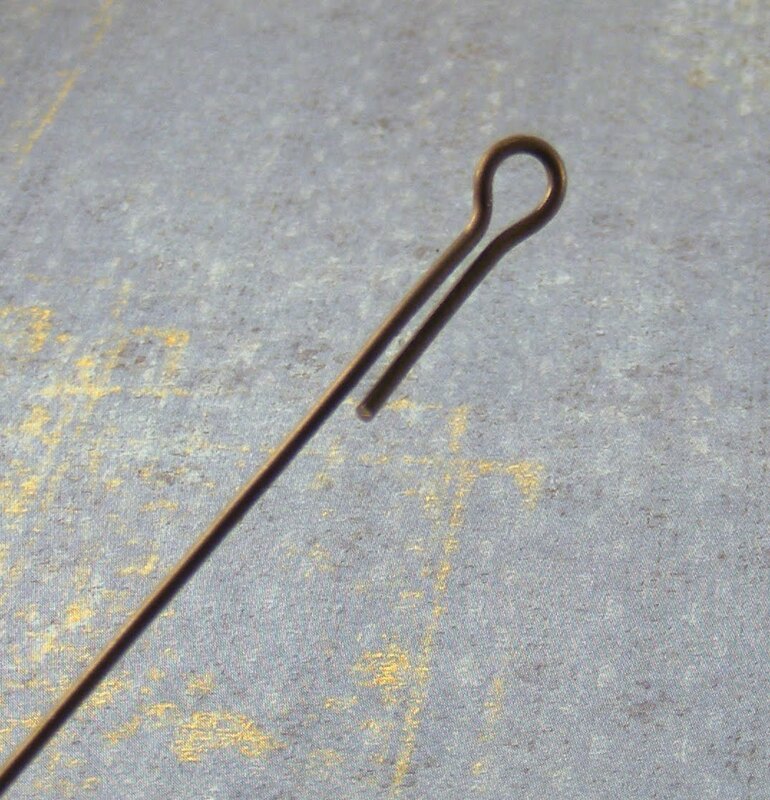 May I ask, where do you find 20 gauge annealed wire? 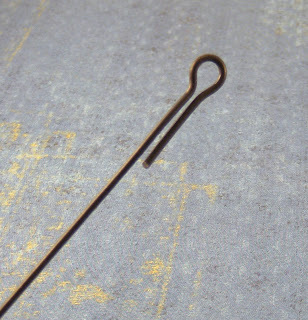 I can only find it in 19 gauge, so was just curious!